For more than 80 years, Polaroid has let instant print photographers capture special moments in time. 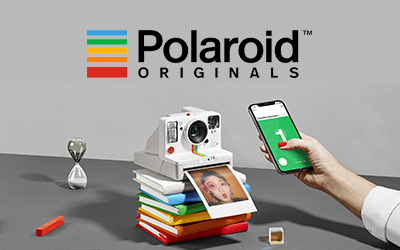 Now, Polaroid Originals is carrying on the company’s legacy with a new generation of instant cameras while maintaining their vintage design and style to delight new generations. 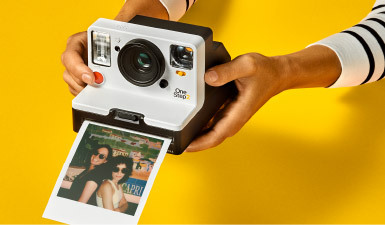 A unique offering in the digital era, the reimagined instant cameras inspire nostalgia for the iconic white-framed prints while providing present day features like Bluetooth technology. Polaroid Originals offers two instant cameras for today’s photographers, both based on the original Polaroid OneStep design. The Polaroid OneStep 2 Viewfinder i-Type camera is ready for use right out of the box. Combining a top-quality lens, ready-to-go flash and rechargeable battery, it's designed to last. Insert i-Type film and the magic begins. The second new camera, the OneStep+ i-Type camera, uses Bluetooth technology to enhance its usability. The camera can take photographs with a remote button as well as manually, and it includes a portrait lens to create high-quality photos. Photographers can venture back in time with vintage Polaroid cameras re-released for today’s photo buffs. The Polaroid 600 first served photographers in the 1980s through its point-and-shoot technology and analogue prints. The world’s first SLR camera, the SX-70 Polaroid became an icon of the instant film world. The Polaroid Spectra also took the photography world by storm with its wide-format prints that represented the height of instant film technology in decades past. Whether photo enthusiasts prefer the unforgettable white-rimmed colour or black-and-white film, Polaroid Originals delivers. 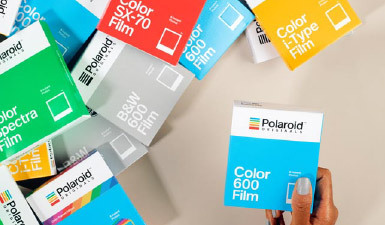 Polaroid Originals film currently comes in i-Type (only for use in new Polaroid cameras), 600, SX-70 and Spectra Polaroid film, so you can be sure to get the right film for your Polaroid camera. 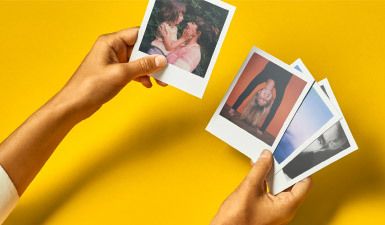 Whether you feel the pull of nostalgia or are excited by the latest generation of Polaroid cameras enhanced by today’s technology, Polaroid Originals represents 80 years of historic photography ready to fuel modern photos. Shop in-store or online for the full line of Polaroid cameras and film at London Drugs today.